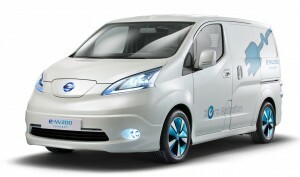 Last week I was invited to the launch of the new Nissan all electric van. 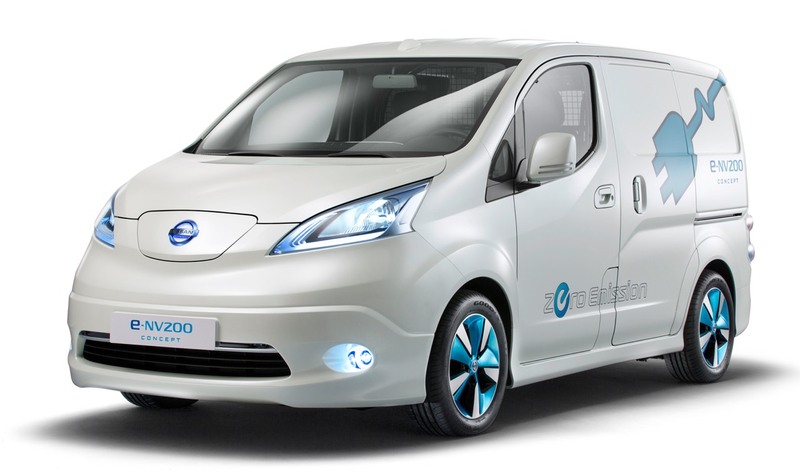 It’s an impressive van by any measure and with it’s existing Leaf Electric Car credentials will soon become a firm favourite with small and medium sized business owners. The drive is amazing with easy controls and soft cruising anyone fortunate enough to work using one is very lucky. All the techy details will be on the F J Chalke website but I did glean a few interesting facts you might be interested in. Go and test drive and see for yourself what the future holds for us. 2. Pass this on to people you know and have supporters in your household have their say separately. Same email address /envelope is fine. 6. Point out that this is a temporary planning application for the 25 year lifetime of the wind turbines. 7. SAVE what you write and use it to contact your local councillor, the Abbey Ward councillors, the MP…..
submissions are likely to be accepted for a while. "I’ve just heard that Eric Pickles has been made faith minister. This could explain a lot. Is he expecting a miracle to sort out climate change and energy security and to whisk away nuclear waste? " 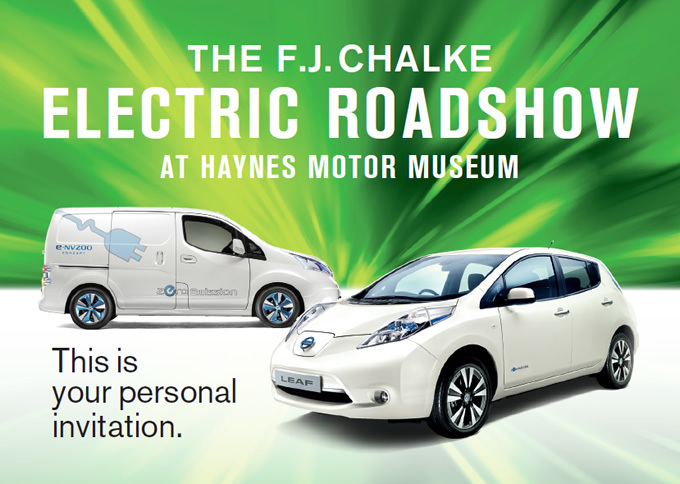 You are invited to have an ‘electric’ experience by driving the ground-breaking 100% electric Nissan e-NV200 and Nissan LEAF around the Haynes Motor Museum race track and on the open road. You will also enjoy complimentary refreshments, and free entry to the motor museum for you and a guest. Please RSVP by calling 01963 834492 or by emailing businesscentre@fjchalke.co.uk by the 20th July. We’re truly into festival season now, so it’s time to get your wellies on and listen to some live music in a hopefully sunny but probably soggy field (well, let’s face it you can’t rely on the British weather and that’s a fact!). In a bid to become Britain’s greenest festival this year Glastonbury encouraged all traders and festival goers to drink from reusable bottles rather than disposable ones. 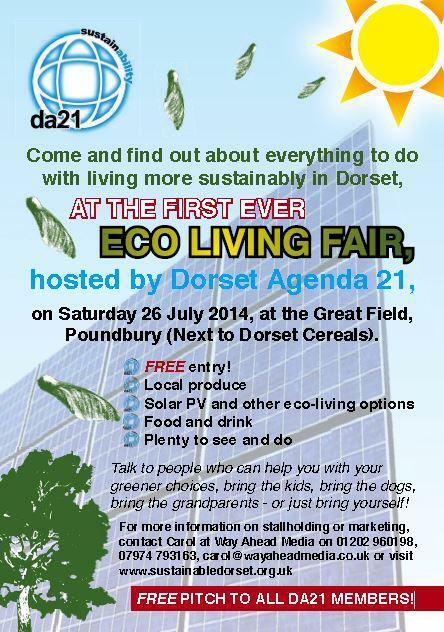 It’s also the fab Tolpuddle Festival in Dorset this weekend, so here is our top 5 list of products for ideas on how you can be as green as possible at festivals this year, and most are available online from Ecotopia so you can save on postage getting them all together too! Ecotopia’s Essential Eco Festival Kit is designed to see you through your favourite festival in true eco style. 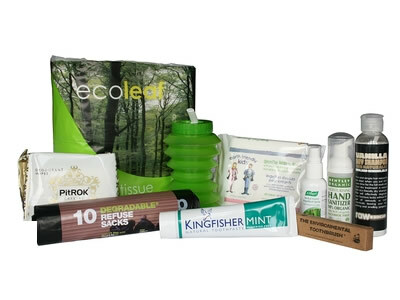 It includes Ecoleaf toilet rolls (how decadent! ), a Bentley Organic Hand Sanitizer and a reusable Ohyo Water Bottle. 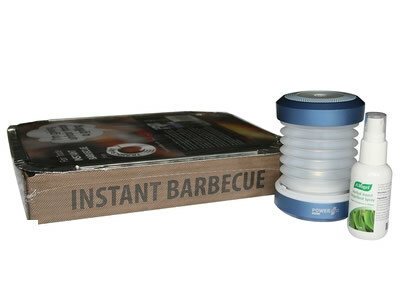 Light up the Eco BBQ for some delicious food during your festival weekend. Make sure you’re eating free range, better still organic meat, or I highly recommend enjoying some meat-free burgers or veggie sausages if you really want to be eco – VegiDeli Meat-Free Quarter Pounder Burgers are my absolute favourite and are available in all good healthshops, and I don’t think you can beat Linda McCartney Vegetarian Sausages in a hotdog, (both are vegan-friendly) available at most supermarkets (I also recommend bbq-ed onions and smothering everything in ketchup and mayo!). If you’ve got the room and a chillbox then take salad, and ready-cooked baby new potatoes and corn on the cobs to bbq too, yum! If you don’t buy the Essential Eco Festival Kit above then this kit also comes with a wind up Collapsible Lantern to brighten up your evenings and you can avoid bites with the Natural Insect Repellent. The Freeloader is a compact and lightweight solar charger for mobile devices and is great for people on the move (and at festivals!). 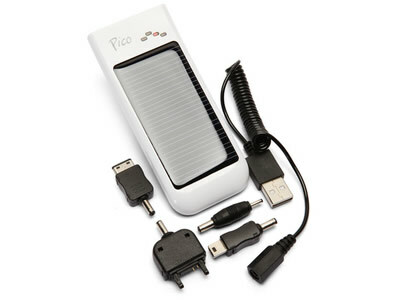 Pico charges in 10 hours using the sun, 3-4 hours when plugged in, and comes with a number of connector tips for charging multiple devices. I’d like to think festival-goers could get back to nature in the great outdoors and live without their mobiles for a day or two… but most of us just can’t resist checking messages or sharing photos and videos on facebook so best to be prepared!!! Okay it doesn’t look very cool at all but sometimes dismal weather calls for desperate measures, and it also doesn’t feel very cool getting soaking wet!!! 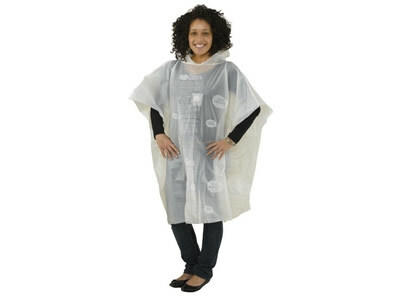 Stay dry at festivals this season with the (not-so!) trendy Spudcoat. It can be worn over and over again, is made from potato starch bioplastic and has seeds embedded in it – so once you’re finished with your coat you can plant it in the garden and it will grow into cucumber or tomato plants – how cool is that!!! They are perfect for adults and children alike as they come in two sizes. To counteract the possible threat of having to wear a Spud/Rain Coat (!) 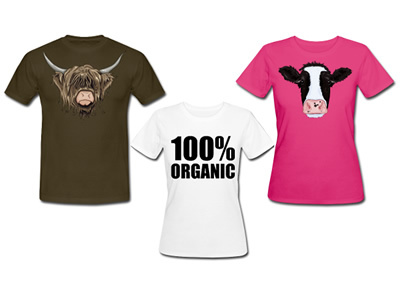 I recommend standing out from the crowd in one of Compassionate Dorset’s cow t-shirts, or their new ‘100% Organic’ t-shirt in you’ve guessed it, 100% organic cotton. All profits are donated to the leading farm animal welfare charity Compassion in World Farming to help end factory farming which is the biggest cause of cruelty to animals and environmental destruction on the planet, so you’ll look cool and feel good too! Have fun and please let us know which festivals you’ve gone to and how you get on with any of these products by posting your comments below, or recommend more eco festival essentials! I have just been lucky enough to attend the one-day conference on Integrated Renewables for Autonomous Power Supply http://www.exeter.ac.uk/news/events/details/index.php?event=2164 at the Penryn outstation of Exeter University. Many speakers from Britain, Norway and India gave impressive talks on PV, Biomass, Storage and Grid Integration along with some informative poster presentations by leading academics and up and coming research students. There was also a tour of the BREEAM excellent rated research facility. Not only did this fill me with excitement over the progress being made towards overcoming the storage and grid integration issues surrounding a truly low carbon energy industry but my journey along the A30 across Bodmin and down to Falmouth gave me a great opportunity to see some of the wind turbines and solar parks that are allowing Devon and Cornwall to so impressively out -perform Dorset in decarbonisation. Now I know what you are thinking “If you’re so green what are you doing driving to Cornwall?” Well I could point out that I car shared with my partner and we stayed an extra night to make a mini break of it so it was far less environmentally damaging than an air flight to anywhere for a holiday but instead I will put my hand up and recognise that my ownership of a car is amongst the least green things I do. There are people who manage to do without a car by choice for environmental reasons and there are those, of course, who cannot afford to run a car but it is clear that personal transport is one of the most appreciated advantages of relative affluence and for good reason. I could not do many of the things I most enjoy in life without a car; I could not have commuted to my places of work from the pleasant places I have been lucky enough to live in without a car and I would not even have met my partner if I had not been able to travel long distances with large quantities of camping and living history equipment to re-enactment events using my car. Most adults in this country either own a car or would prioritise acquiring a car were their financial situation to improve. As far as the GHG emissions issue is concerned we are on the brink of a personal transport revolution with battery cars and hydrogen fuel cell cars ready to be used but just out of reach for most because of the lack of support infrastructure and high prices due to the lack of economy of scale in the manufacturing of the new vehicles. As I was driving along the A30 seeing the regular appearance of wind turbines of many different designs I was of course struck by the fact that, although they were striking in their appearance, they did not ruin the views or do anything to diminish these counties as potential holiday destinations. There were several points at which I observed things that were something of an eyesore. The “Cornish Alps” of tin mining waste are a constant reminder of the long term damage done to environments by mining either for metals or for coal. There are a couple of places on the route where high voltage transmission cables and pylons criss-cross otherwise appealing valleys but we generally ignore these because we are now so used to them and very few of us would be prepared to do without reliable low cost electricity made possible by the National grid. Finally I mustn’t forget the visual and noise impact of the very dual carriageway I was driving along. We have come to terms with the carving up of our countryside by dual carriageways and bypasses because we know that we can only enjoy the benefits of mass car ownership with a modern road network and, had we stuck with the road network of the 1950s we would be in a state of perpetual gridlock and economic collapse. I remember when the anti-road protestors focussed their efforts on the Newbury Bypass in the 1980s behind the charismatic figurehead of “Swampy”. I was very much in two minds about this as, at the time, I was doing student placement work at Harwell and travelling there each week from Leicestershire. Newbury was always gridlocked on a Monday morning and a Friday evening. The conditions for the people living next to the through road must have been extremely unpleasant and the traveller could spend an hour or more stuck in or around Newbury. Now, with the Newbury bypass and others on the A43 and A34 the run from the NE Midlands to the South Midlands is one of the easiest journeys you can take long distance in England and you get to see some lovely countryside which, although significantly affected by the roads, has not been totally ruined by them. There are certain houses and communities that I can see have suffered quite considerably especially when compared with the miniscule effects of distributed renewables like wind turbines or solar farms but on balance one can say that the price paid does not outweigh the benefits to the country of our modern road network. I see the situation with renewables as much the same as that of bypass politics in the 1970s and 80s. We all want cheap electricity and we don’t want our children and grandchildren to suffer short lives of suffering due to climate change initiated war, disease and economic collapse but some of us still don’t accept that this requires action now to change our economy and in so doing change our countryside even though the real downsides of that change are trivial in the extreme. The other important aspect of this is the economic benefits to Cornwall of Renewables. The positive and proactive attitude of elected representatives and individuals in that county especially has meant that large sums of money that would have been flowing out of the county to the coffers of large energy firms is now going instead to farmers, land owners and ordinary home owners who are contributing to the green revolution. New employment opportunities are being created in academic institutions like the Penryn campus and in the support industries for renewable energy generation. Dorset is missing out on these things and again it is indicative of the selfish attitudes of those who are driving the anti-renewable agenda in our county. Many of them are much richer than the average in the county. They have built up big pension pots and share portfolios through their economically high intensity jobs in the SE of England and elsewhere causing all sorts of environmental issues there and around the world. Their invested capital continues to do so. For many who have lived all their lives in Dorset the only opportunities are low pay boring jobs in care homes or ever decreasing numbers of low grade public sector jobs. An opponent of renewables recently attended a meeting in Blandford who had moved to Dorset recently after a successful career in the SE of England. He stated that he couldn’t see the community benefit schemes relating to the proposed wind farms doing any good because the community he lived in already had a village hall and a post office so what was the point? I am sure that if you have a large income that comes to you without any need to travel to work or to work for that matter and your children are grown up and live in a completely different part of the country then you might struggle to see what a community benefit scheme should be spent on but if you are struggling to find a job or cannot find the child care facilities to enable you to work or have to rely in your old age on public transport because you don’t have a big fat pension then I am sure you might be able to think of some constructive ideas for the money. "Thank you Richard for coming on to this site to spur some of us on to debate these important issues with you. We all have to be careful not to get too het up discusing issues we feel strongly about and flinging accusations around. So I will try not to accuse anyone of being childish or pontificating or being rich enough to own race horses. I’ve seen a couple of other large wind turbine applications at close hand and have some observations. First, they both failed. You will take heart from that. I – of course – don’t. Second, the two camps were clearly divided between mainly the farming community (wealthy – on paper – landowners and relatively low paid farm workers)and those not associated with the land who usually (not always) had no historical association with the land. (as opposed with landscape). The farmers may be sitting on land and property worth millions with large sums flowing through their business but their disposable income can be modest. They work very long hours as standard and consider themselves guardians of the land (and landscape)which they expect to pass on to their childern rather than realise paper wealth. I was once told by a farmer only half jokingly that I shouldn’t expect him to take my opinions on local matters seriously because my family had not been in Dorset since Saxon times. Despite that comment, farmers are usually quiet, self effacing, not prone to voicing their opinions and actually quite easily intimidated. Wind turbines make sense to farmers because they give resource efficient future financial security. The opposing camp were very ably led by people who had moved into the area, often to retire. They had excellent communications skills (as do you Richard), experience and expectations of being listened to and time enough to coordinate their actions. They put high value on the landscape the farming community have created and looked to the past (Hardy’s Dorset!! )rather than the constant change and planning for the future they may have experienced in their own working lives. I mention all this because I wonder if there is the same polorised situation in Winterborne Whitchurch. I would echo Vince’s offer that together we seek locatons for big wind turbines that are not offensive to people with your particular sensitivity to the landscape. This is an importnat task and I hope you can help us. " "I am afraid that nothing Mr Fry says really contradicts what I said in the original piece. Obviously affluence is relative but I do think it is fair to say that the majority of people who are fortunate enough to be able to retire to Dorset are more wealthy than many who have lived here all their lives especially given the difference between average earnings in the SE of England (where many retired persons move from)and in Dorset. If I made an unfair assumption in suggesting that Mr Fry came here after a “Successful career in the SE of England” then I apologize. I know he said he came from the SE I inferred the rest form his ability to afford the move. Mr Fry says that he merely wished to question how funds for Winterborne Whitechurch could be used fairly because the community only has a “village hall and church both run on shoestring budgets”. This does not make much sense as not only does it suggest that those existing facilities could benefit from not having to run on such shoestring budgets but it also means that there are many other things that could be started with the money available such as a local job club or subsidized child care or a community car share project. With a bit of imagination a sum like £36k could easily be spent without looking too far from the site of the wind farm. The reason why the REG rep couldn’t tell him how the money would be spent is that these community benefit schemes are meant to be flexible enough to enable local communities to decide what they need from the scheme so it’s not down to the firm to dictate what is done and I am sure that some in WW could come up with much better suggestions than mine. It is not set in stone how the money should be allocated geographically and this is also a matter for negotiation with the communities who feel they have a claim on the money if they are prepared to engage constructively. I don’t accept that the idea of 15 turbines over a distance of 10 miles is excessive and is very similar to the spacing I saw along the A30 without the environment being ruined which is the main point of my piece. " "Richard I’d like to take up your challenge at the meeting that you are not against renewables/wind turbines per se but the siting of them. I kind of get that and if the perspective in the village is that you are being dwarfed as it were then developers and planners have to take this into account. So lets meet and go out into Dorset and find the sites that you think would be more acceptable. Can we find sites where there is consensus, if we can then frankly that would be marvellous. I am available anytime at vince@dorsetenergized.co.uk so lets breathe some new ideas into how we move renewables flly forward in the County. By the way the other key point is that I believe that energy savings for villagers say within a 5 mile radius of any sites would be better than community funds. Even better than that lets create community funded projects that the people all have ownership of. " "I am the person you refer to (fifth paragraph) who recently attended the meeting in Blandford. Your misrepresentations and assumptions are quite honestly untrue, ignorant and insulting. In particular, I am not rich, I stated clearly that I am in my sixth year of my life-long ambition to live in beautiful Dorset, and with regards the projected £36k per annum (forecast total £900k) ‘REG (the turbine producer) Community Benefit Fund’, I actually enquired of the REG rep. present how the allocation of such huge funds for “good causes in the community” in Winterborne Whitechurch (a small village south of Blandford possibly to be dwarfed by 4 Giant turbines) could possibly be allocated fairly as we only have a village hall and church, both run on shoestring budgets. Therefore, would the funds be issued to satellite villages or even Blandford. You may remember that the REG rep. could not answer the question satisfactorily to the consternation of others at the meeting. A far cry from what you state. Your childish outburst re fat pensions, portfolios, etc is somewhat pathetic. Maybe the millionaire landowner providing the sites for the turbines may wish to respond, providing he’s not away with his racehorses. Finally, I again clearly stated that far from being against renewable energy, I was actually objecting to the siting of turbines right next to my rural village, and that if the three current applications in North Dorset go through, that fifteen giant turbines will be situated in the ten miles between North Dorchester and Winterborne Whitechurch. The flood gates are opening… For some one who pontificates so wordily and so often, I wonder how often you stray from reality and the truth as you appear to ‘wind yourself up’ – ref to one of your previous blogs. I have no intention to debate the issues with you, but would like others who may wish to, to be aware of your ‘flexibility’ of the truth in your reports. " "Anyone who can afford a decent car make the change soon to Electric, not hybrid but full on Electric.. The fun you will have the serenity the release from the grunt and grind of driving conventional cars will disappear overnight. People of Dorset take up Erik’s call for us to as they say “Get a life”, support UK like so many regions have done in the past by supporting clean renewable energy. The problems we have can all be surmounted by development, financial support and growing renewable markets. Its like the tele, the mobile phone etc someday renewable energy will be the norm. Don’t fight it join the revolution "
The Positive Environmental Action Scheme are holding an exhibition in Poole on the 22nd July – focusing on how businesses can save money by choosing environmentally positive methods and technologies. Perhaps a better approach is to ask ourselves how is it likely to compare with the alternatives? We do need to do something. Our energy infrastructure is wearing out and will not meet the needs of the 21st Century. If we ignore the ethical element we might get away with being NIMBYs and expect others to put up with things that we want the benefits from but don’t want to see near us but we cannot be BANANAs (Build Absolutely Nothing Anywhere Near Anybody). The obvious alternative is wind turbines. Scare stories abound about noise and flicker and the amounts of concrete used in their foundation and of course there is the subjective aesthetic question of visual amenity. Now I have done much more research into the realities of the issues relating to wind turbines than I have into fracking and my conclusion is that every issue except the subjective question of visual impact is either grossly over stated by the antis or even absolutely untrue and that, when you are talking about small wind farms of less than ten turbines sited 500m or more from the nearest houses the visual impact is very much dependent on how much of a Victor Meldrew you let yourself become by staring at the turbines and winding yourself up into a froth about them. I truly believe that you have every reason to ignore them because they won’t do you any harm. It would be unfair of me therefore to suggest that you believe all the very worst stories about fracking and reject all the ones about wind turbines even though I believe that there is much more truth behind the fracking stories than the turbine myths (can you detect my bias there??!). So what can we say for certain. Developing a fracking field involved months of heavy industrial work during which a great deal of noise and dust is created and millions of gallons of fracturing fluid will need to be tankered in or made up on site using local water resources and more concentrated chemicals which may or may not be a significant risk to you but certainly would not be something you would like to see spilled into your local stream if one of the many tankers was to have a crash. Most of the fracking fluid will come back to the surface via the bore hole and will need to be stored onsite until it can be tankered out again for safe disposal or reprocessing/recycling at another well. Part of the job of the fluid is to corrosively attack the rock the stop the cracks closing up again. This means that the fluid will return to the surface loaded with dissolved minerals. Now this might well not be the sort of thing you would bottle and sell as a health tonic as it is likely to include heavy metals in much the same way as the acid mine water does that has sterilized many a stream in Yorkshire or Wales. With the best will in the world I do believe that losses from storage lagoons and tanks will occur and sure, the firms will be fined by the Environment Agency etc, but only after the event when your environment is polluted. Once the well heads are in place there will probably still need to be storage tanks on site and there may well be the requirement for periodic refracturing when the whole fluid insertion and pressurisation process will need to be repeated. In comparison the building of a wind farm of 6 turbines is a minor inconvenience. Each turbine requires a concrete foundation equivalent to about 6 modern family homes and once they are in place the structure of the turbine itself can be erected in a single day especially if road links to the site are reasonable and it can be brought in largely prefabricated. Power electronics for the farm about the size of a single lorry container gather the electricity from the individual turbines and feed it into underground cables that connect into the 11kV mains at the sort of transformer station that you will already have in your village or community. Thereafter they run extremely quietly and require relatively low levels of maintenance for years of clean electricity generation. In conclusion my main objection to fracking is because of the implications for the long term energy policies of our country but I am also in no doubt whatsoever, 100% certain etc etc that I would choose a wind farm in my back yard over a fracking site any day of the year but will I get the chance to choose? Of course I won’t. As long as the government thinks it can make a quick buck to boost GDP and it calculates that the anti-wind turbine campaigners are active in more marginal rural constituencies than the anti-fracking campaigners are they will push ahead with fracking in just the same way as 12 new nuclear power plants will be pushed through because it is a flaw in the democratic system that the unreasonable objections of 100 constituencies to wind turbines outvote the reasonable objections of 12 constituencies to nuclear expansion. Localism is all very well but is must go hand in hand with a sense of the bigger picture. We can all share in the benefits of dispersed generation by renewables but we must all accept a little of something in our back yard unless we want to take our chances in the fracking and nuclear lotteries and condemn our grandchildren to suffer the longer term consequences. "I was going to suggest that you also put your blog on the DART websie but on investigation discover that they have no blog section! Presumably they don’t want to encourage discussion but simply appear as the font of all knowledge. " On Wednesday the 9th July at 7 pm there is going to be a meeting at the Woodhouse Pavilion in Blandford in support of the proposed 3 turbine wind farm at Blandford Hill (site proposed 1km from Winterborne Whitechurch). 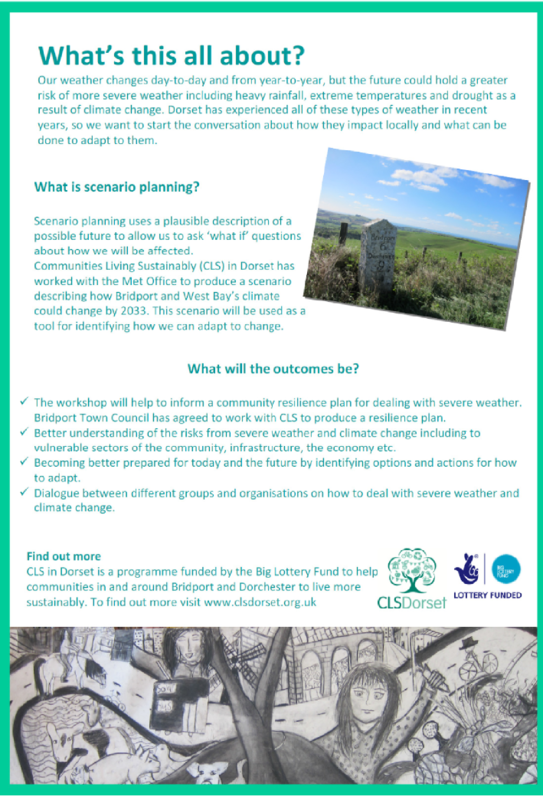 West Dorset Pro Wind group will be attending to share their experience – in supporting through letters of support to the planning committee and so forth.